The FBI and NYPD are looking for a second person of interest in connection with yesterday's attack in Manhattan. 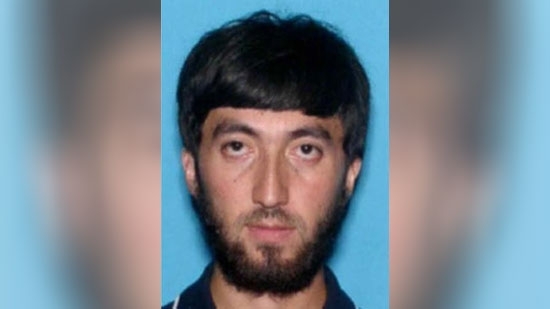 The agencies have released a wanted poster for Uzbek national Mukhammadzoir Kadirov. He has not been named as a suspect in the deadly attack but the FBI wants to talk to him. They are looking for information about him and his whereabouts. Yesterday, 29-year-old Sayfullo Saipov drove a rented truck down a crowded bike path killing 8 and injuring a dozen more. He was shot by police, but is expected to survive. Investigators say that he had been planning the attack for weeks and seems to have followed the ISIS playbook to a 'T'. On Wednesday, Saipov was charged with terror, specifically providing material support to ISIS and destruction of motor vehicles. Police are investigating a bus crash in Delaware County on Wednesday afternoon. It happened around 2:30 p.m. on the Rt. 420 ramp to I-95 south in Tinicum Township. The school bus went off the road and crashed into a ditch near a wooded area. There were 5 people aboard, 2 adults and 3 children. No word on any injuries or how the bus lost control. Bucks County authorities are searching for a driver wanted in a hit-and-run accident on Tuesday night. It happened around 7:40 p.m. on Street Road near Newtown Road in Warminster. Police discovered a 44-year-old injured man in the middle of the road. He had been hit by a car that did not stop. The man is in critical but stable condition at Abington Memorial Hospital. Authorities are looking for a dark-colored Hyundai, with a missing mirror, and possibly other damage. Anyone with information should contact Warminster Police.